Turkey is reported to have paid USD 7 M to Bulgaria’s communist government led by Todor Zhivkov for the Bulgarian-Turkish World and Olympic Champion in weightlifting Naim Suleimanov (Naim Süleymano?lu). The former Deputy Turkish PM, Ekrem Pakdemirli, told the ‘Bulturk’ newspaper that ex Turkish PM and President and Turgut Ozal had personally told him to pay over the USD 7 M to Bulgaria. The sum had previously been reported to be USD 1 M.
Pakdemirli is quoted as saying that Zhivkov’s government asked for the huge sum and that the Turkish PM Ozal had paid it before the 1988 Seoul Olympics to allow Süleymano?lu to compete for Turkey. He added that at the time that amount of money could have built a water supply system for at least 100 villages. Süleymano?lu, formerly known as Suleimanov, was born in Ptichar, Bulgaria in 1967. He won three Olympic Championships, seven World Championships and six European Championships and earned 46 world records. Born in Bulgaria of Turkish descent, he was nicknamed "The Pocket Hercules" due to his small stature (1,47 meters). He is the second of only seven lifters to clean and jerk three times their bodyweight. 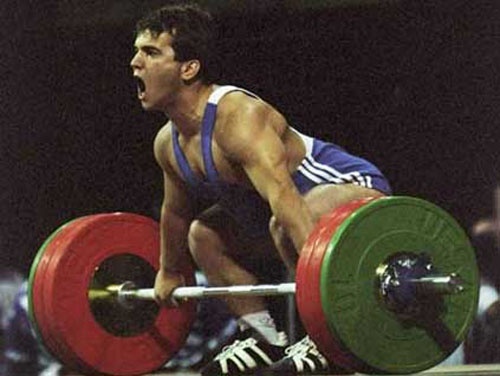 Suleimanov set his first world record at the age 16 but missed his first chance at Olympic success in 1984 when Bulgaria joined the Soviet boycott of the 1984 Los Angeles Olympics. Soon afterwards the Communist regime in Bulgaria forced its Turkish minority to adopt Bulgarian names and he became known internationally as Naum Shalamanov. While on a trip to the World Cup Final in Melbourne in 1986, Suleimanov defected. He resurfaced in Turkey and applied for citizenship. He also changed his name from the Bulgarian Suleimanov/Shalamanov to the Turkish Süleymano?lu. After the fall of Communism in Bulgaria, his family was able to join him in Turkey.